I was lucky enough to get book two for review and loved it. 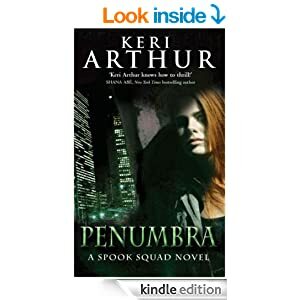 I’m a great fan of Keri’s work anyway, and this world is such fun, though at times confusing….with the shape-changers, shape-shifters ( yes there’s a difference) and multi-shifters. Its bad enough just sorting them out, but now we’ve clones too it seems…and of course there’s Sam with her unknown background and abilities. Then there’s Joshua and Joe, who is Joe, where does he fit in and what does he want with Sam, and is Joshua – her dream person – real? They seem to share memories or is it all a figment of imagination. The more Sam seeks answers the deeper the danger to her seems to get.Throw in the Gabriel problem – there’s a connection between them that he won’t acknowledge, more than just the weird bond they share that lets them feel what the other is feeling – and Sam’s had enough of being pushed aside by him. He doesn’t want her as a partner so she asks for and gets a transfer. He’s shocked though at where she’s going. It’s placing her in very grave danger and finally he needs to look at how he feels about her. Its a great read. I was wary as I’d read that this was intended to be a four book series, and it stopped at three leaving things unresolved. I was afraid I’d be left in some weird book limbo, with a cliff-hanger ending and no resolution coming. For some people the book of the moment is all, and they don’t mind reading unfinished series or waiting ages for next book. Not me, I feel I’ve wasted my reading time when that happens. I need an ending of some kind, and though there are question unanswered here the basic ones are given an insight, and we got a form of ending. The Sam/Gabriel conundrum is resolved and that made me happy! Its a fun read, some complex problems to work out, but I enjoy that. Its interesting speculating who was behind what, and for what reason. I’m a bit of a cynic when it comes to governments and Military so this kind of world where things happen feels very possible to me – maybe I’m not just a cynic, bit too gullible but it makes for a book I really enjoyed and a series I’d re read despite it being “unfinished”. I’d rather that than Keri pick it up now, many years and other books later and make a poor fourth book. Writing is tough – I’ve tried and failed miserably, so when she says she can’t get back into that world again I’m OK with that.